Clicking on links opens a new tab or window in your browser. Core Basics is an introduction to the Jewish Canon. Available from Taylor Green Seminary. Hebrew courses? At The Metivta, we teach “Hebrew” to teach basic concepts in Jewish spirituality. You’ll learn to read and write, you’ll acquire an Israeli accent, but you won’t learn to speak Hebrew as it is now spoken in Israel. Available from Taylor Green Seminary and Congregation Migdal Tzedeq. A First Course In Jewish Tradition. A basic introduction to the Jewish outline of knowledge on which the Jewish Canon is based. Available from Congregation Migdal Tzedeq. Midrash & Agada. An introduction to the rabbinic philosophy of curiosity and its application in interpreting Torah. Available from Congregation Migdal Tzedeq. Mishna Avot. Ethics from the first generation of Rabbinic civilisation. Available from Congregation Migdal Tzedeq. Mishna Brachot. An introduction to prayer from the first generation of Rabbinic civilisation. Available from Congregation Migdal Tzedeq and Taylor Green Seminary. Gemara Brachot. An introduction to the rabbinic philosophy of spirituality and its application in fomenting strong interpersonal ethics and boundaries. Available from Taylor Green Seminary. Addiction and Mental Health is a program in applied spirituality intended for religious service professionals who want or need skills to deal with alcoholism, addiction, and mental health issues. Jewish Chaplaincy is a program in applied spirituality suitable for both religious service professionals and mature spiritual seekers, the program in Jewish Chaplaincy provides rigorous training in Jewish tradition and establishes a baseline for a Jewish “ministry of presence”. Vernacular Chaplaincy is a program in applied spirituality. Intended for adult learners, Vernacular Chaplaincy establishes a baseline for “workplace chaplaincy” based on practical, applied spirituality rather than specifically religious concepts. Spiritual Direction is a program in applied spirituality. Suitable for both religious service professionals and mature spiritual seekers, the program in Spiritual Direction empowers learners through the use of discernment. A Jewish Theology of Recovery is a program in applied spirituality suitable for mature spiritual seekers. Available from Taylor Green Seminary. Personal Interpretation For Chaplains is a program in applied spirituality suitable for both religious service professionals and mature spiritual seekers based on the expectations set for adult learners by the authors of Mishna Pirqé Avot. Available from Taylor Green Seminary. Learning at The Metivta of Ottawa generally occurs online. 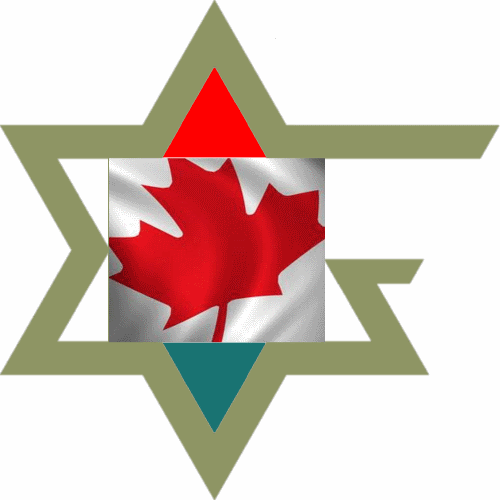 Learners in Ottawa may take some courses directly from Congregation Migdal Tzedeq at The Metivta of Ottawa. Learning at The Metivta of Ottawa is usually conducted by open registration. Some courses may only be offered periodically. Courses that form part of a program, for example, run on a specific schedule. Go here to see our core competency programs. Learning at The Metivta of Ottaw requires learners to have an email account, a Skype account, and access to broadband Internet. The Metivta of Ottawa offers its courses only in English. Hebrew language skills are useful.